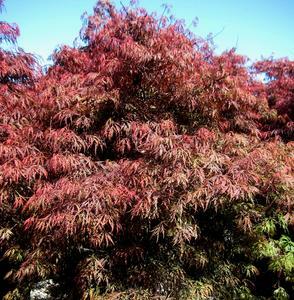 Excellent dissectum Maple with red foliage and cascading branches. 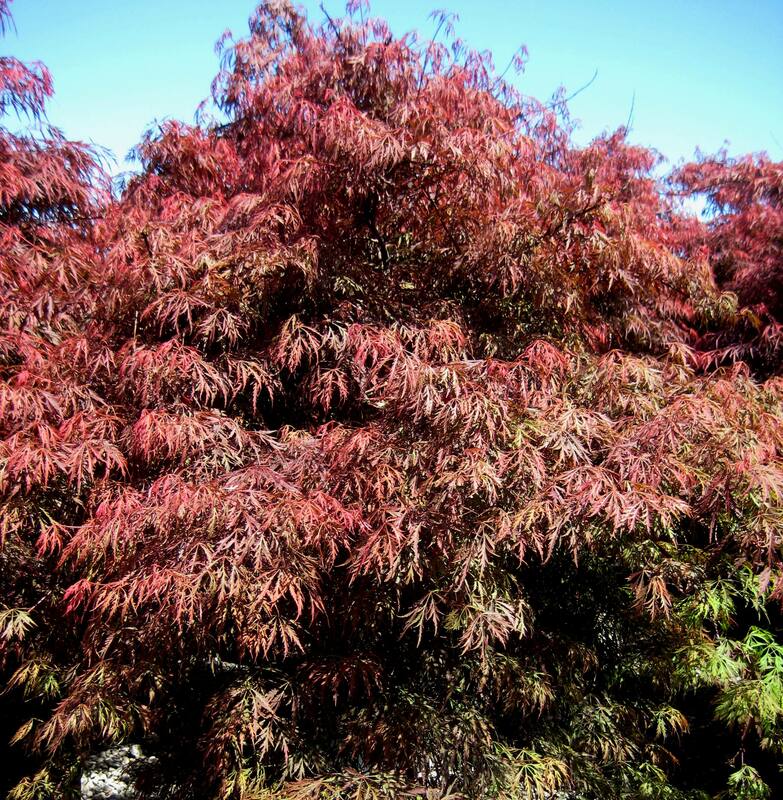 Retains red color well in summer, and turns scarlet in fall. More compact than 'Crimson Queen'.